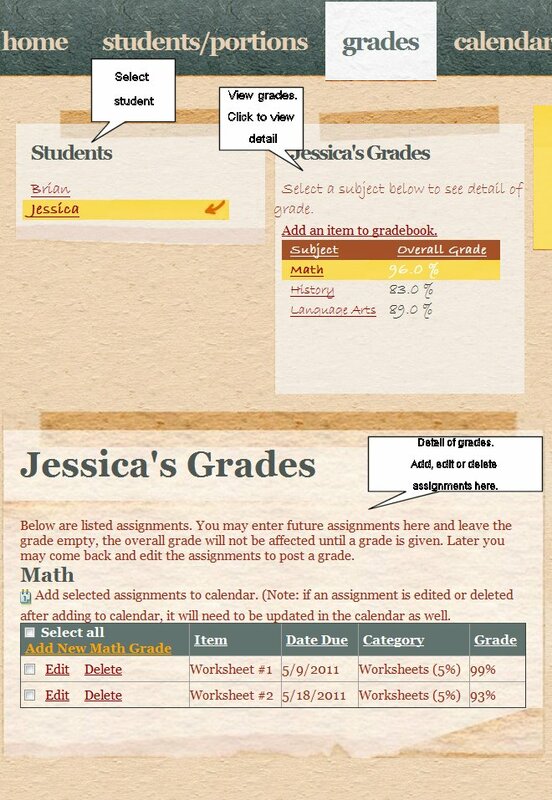 Online attendance tracker, calendar & grading application for homeschool parents. 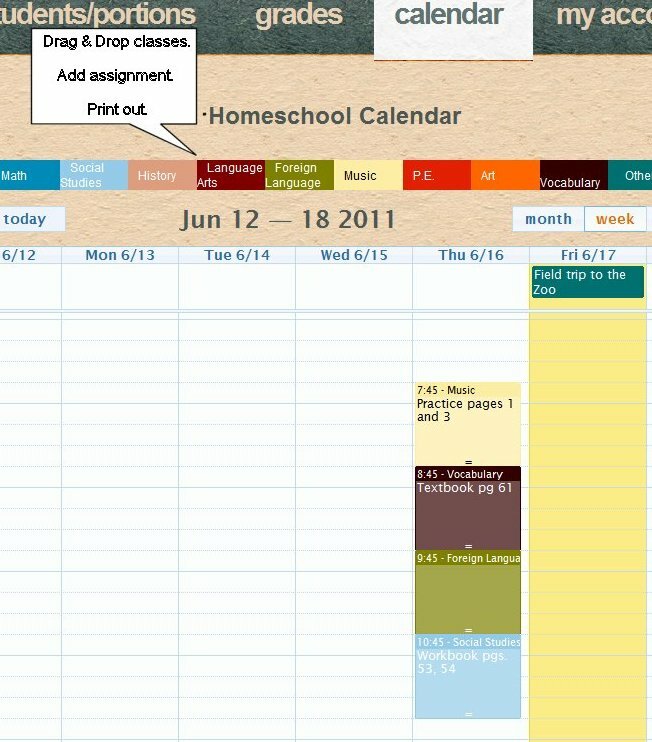 We are here to simplify your homeschool record keeping. Also offered is a student portal, a grocery shopping list, categorized by aisle to help make those trips a little easier. Membership to this site is free for the first month and $25 per year after that. Register here. If you are already a member log in.